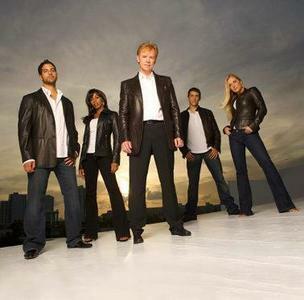 This fall's first new episode of CSI: Miami was the most watched drama last night while Dancing With The Stars was tops for any genre on any network. ABC won the night overall on the back of its reality tent pole series while Fox came in a weak fourth, but that doesn't really tell us anything remotely interesting, does it? Did Terminator continue to face plant in the ground? Is Heroes back? What about Worst Week? Maybe, Wow, and Sort of...and not in that order. Terminator didn't magically find the audience it has been slowly losing ever since it went on the air in January. The 8.2 million people that watched the finale in March dwindled to 5.49 million by the second episode of the new season. It did gain 320,000 viewers since last week, but like I said last week, this show isn't going to get renewed at these numbers. Monday overall was a bit more complex than that. You'd think that Dancing With The Stars (21m) and CSI: Miami (16.8m) would be much to celebrate, and I suppose it is if all you care about is total viewers. Problem is, advertisers really only care about the "demo", specifically young adults 18-34 first, 18-49 second, everyone else not so much. This demo buys the most stuff and how much of it your show gets determines how much you can charge for commercials. The demo is usually a small percentage of the total so it stands out when it's not. Even at double the viewers, Heroes was still worth more to advertisers than the nights top show. That's a pretty big deal folks, Heroes was the nights top drama in the demo just like it was in its first year. If it ever climbs back into the 12-16 million total territory, it's going to just clobber everything on the tube in the demo this fall. But nobody ought to be complaining really, except maybe Fox. At 9pm, ABC had Stars (21m), CBS had Two and a Half Men (14.9m), NBC had Heroes (10.2m). That's 46.1 million people across three of the four networks -- Fox only had 5.9m with Prison Break which is a great show this season -- which beats American Idol even on a good night. Not that that means anything, just thought I'd point out what a disgustingly large number of people were watching one of those three shows last night. Worst Week which I reviewed this morning (9:30pm CBS) hauled in 11 million which I think is great, and deserving, but I question if that's where it's going to stay. I also think that good as it may be, it's got nothing on Heroes, which coincidentally lost some of its audience in the second hour probably because it was airing too late or because everyone else wanted to watch CSI: Miami instead. I wonder if Heroes will rebound with just a single episode airing next week? Welp, House is on right now and Fringe will come on after. Fringe debuted to a disappointing 9 million but got a huge bump in its second episode coming directly after House, nearly retaining the entire audience (13 million.) Tonight will tell us (and next week but mostly next week) whether or not that bump will fade. Terminator got 16 million viewers off the back of an NFL playoff game but immediately dropped seven million of them within 24 hours. I think Fringe will bleed viewers as well, just not that huge of a fall.